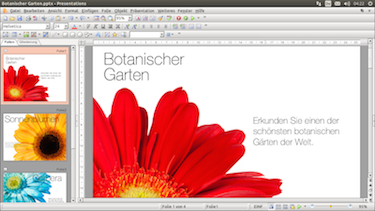 The bottom line on SoftMaker FreeOffice 2016—the updated, free, full-featured Office alternative to the expensive Microsoft Office suite—is this: no other free office suite offers as high a level of file compatibility with Word, Excel and PowerPoint. This maxim applies to both Windows and Linux operating systems, says the suite's maker, SoftMaker Software GmbH. SoftMaker asserts that the myriad competing free alternatives often harbor problems opening the Excel, Word and PowerPoint file formats loss-free. Sometimes the layout and formatting get lost, and on other occasions, files cannot even be opened. SoftMaker sees itself as the positive exception to this rule, especially with the newly overhauled FreeOffice 2016. Benefiting greatly from SoftMaker's commercial offering, SoftMaker Office 2016, FreeOffice 2016 adds features such as improved graphics rendering, compatibility with all current Linux distributions and Windows flavors (XP to Windows 10), new EPUB export and improved PDF export and many other MS-Office interoperability enhancements.